Tenemos un equipo formado por Doctores, Ingenieros Biomédicos, Administradores Públicos y Medicos. 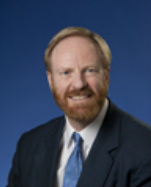 Dr. Bob Lenkinski, UT Southwestern, Sanders Chair in Translational Research: Adviser. Raven Brown is a researcher in the fields of international development and public health. Brown has an M.A. in International Affairs from the New School and an M.P.H. in Global Public Health from New York University. Her expertise includes gender, the social ramifications of HIV/AIDS, food security, and participatory research methodologies. 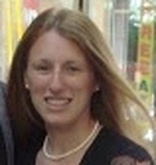 Brown has worked in Guatemala, Israel, Mozambique, Rwanda, South Africa, Uganda, and Zambia and has extensive knowledge of issues related to adolescence and gender in Belize. 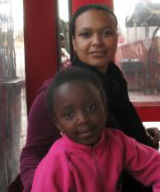 She has worked with various non-governmental and inter-governmental organizations, ranging from the United Nations Department of Economic and Social Affairs to community-based organizations in the Townships outside of Johannesburg, South Africa. 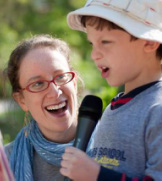 Ana Fuchs, a native Atlantan, is a pioneer in the field of alternative Jewish supplemental experiences and has been instrumental in building Jewish Kids Groups, one of the only independent Hebrew schools in the country. At the age of 19, Ana was diagnosed with second stage cervical cancer, and was fortunate to have access to a developing world clinic where she was treated successfully. Since then, Ana was named one of today's "most dynamic young Jewish leaders" and awarded the prestigious ROI fellowship by the Schusterman Foundation (2012); selected as a PresenTense Global Fellow (2011) for her cutting-edge work in the field of Israel education; and named one of JESNA's 2011 Jewish Education Innovators. 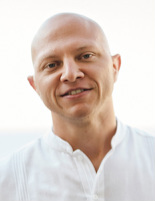 Aric has a degree in Biology with a strong drive for marketing life saving treatments and relationship building. Aric has worked with companies' in many areas such as in helping companies' assess investment opportunities, business development ventures, creating partnerships and community outreach efforts. Aric will bring his knowledge of biology and human anatomy along with strong business acumen in his efforts to help MobileOCT. Audrey Jackson is a student of International Affairs and Global Health at the University of Oregon serves as MobileOCT's public health marketing research intern. Past experience includes North American market research projects on shopper attitudes, behaviors and motivations for leading consumer products companies. Audrey is interested in marketing and market research. Andrew Margolis is a Cleveland, Ohio native, and will be earning a BS degree in Mechanical Engineering from the University of Illinois at Urbana/Champaign in December, 2014. As a student-athlete, Andrew was captain of the Illinois Varsity Men’s Gymnastics team and earned two Conference titles and a National Championship. When he’s not doing backflips and handstands, Andrew works as a mechanical and design engineering intern for MobileOCT, and is passionate about using engineering to better the lives of those in his community and around the world. Flora Cheng is a recent graduate from MIT in Chemical Engineering. She has a keen interest in the healthcare industry, and hopes to explore the development of medical devices with MobileOCT. 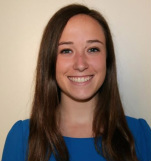 Mara Geller is a rising senior at the University of Michigan studying public health and environment. She serves as a research and development intern at MobileOCT and is living in Tel Aviv for the summer months. Previous work includes working as a GIS research assistant at an environmental research group and co-founding a student organization that promotes sustainability throughout her university. Mara is passionate about helping communities in developing countries and hopes to improve healthcare in these communities by working at MobileOCT. Stephanie Brill is a Chicago native and rising Junior studying Industrial and Systems Engineering at the University of Southern California and is serving as the Manufacturing Research and Mechanics Intern. Previous work experience includes consulting for Israeli tech-start ups through the TAMID Israel Investment Group on her campus, as well as being a camp counselor for two summers at Camp Ramah in Wisconsin. Stephanie hopes her previous work with program design, marketing, and Engineers Without Borders, along with her newly integrated knowledge gained from MobileOCT, will allow her to take part in saving thousands of lives around the world. Zach Davidson is a 4th year at The Ohio State University studying biology. He is applying to medical school during the 2014-2015 cycle and dreams of one day becoming a family doctor like his dad. Like the rest of the team at MobileOCT, Zach is passionate about saving lives across the globe and is President of ENCompass, a 55-member student organization at Ohio State that trains motivated undergrads on how to connect individuals in underserved communities with social services resources they need to live a better and healthier lives. During his free time, Zach likes to pursue his other passions bicycling, reading, and sushi. Evan Eisenberg is studying Mechanical Engineering at University of Maryland College Park and serves as MobileOCT's Mechanical & Industrial Design Intern. Past experience includes constructing the second placing hovercraft in the University of Maryland's hovercraft competition. He specifically designed the hovercraft's payload acquisition mechanism. Evan is interested in product and design consulting. 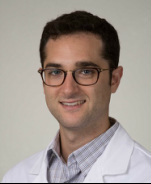 Eran is currently studying neuroscience (biology major) at Bar Ilan University, where he is researching the role of epigenetics on PTSD. As an ex-entrepreneur and a life science student, Eran will help MobileOCT expand their great technology into other areas of medical need. Natalie Kadury - Ganz is studying biomedical engineering at Ben - Gurion University (BGU), and is doing her senior research project at MobileOCT. 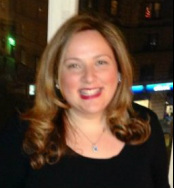 Her past research experience includes an investigation of fragrances' identification by Artificial Neural Network at BGU. 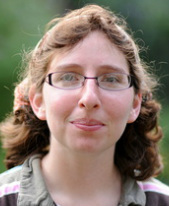 Natalie is a prospective graduate student at BGU, majoring in computational motor control. Greg Carmean is studying Mechanical Engineering at the University of Maryland College Park. He worked as a team leader in the University of Maryland’s autonomous hovercraft challenge where his team finished eight and is an Eagle Scout. Greg wants to go on to work in the consulting field. Eitan Kahn is studying Finance at University of Maryland College Park and assists MobileOCT with mechanical product design. Eitan serves as a member of the TAMID Israel Investment Group at University of Maryland and of the Investment Banking Club. As a business major with a keen interest in developing technologies, Eitan aspires to bridge the gap between business and engineering. 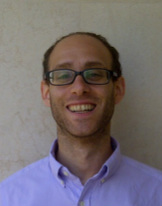 Joshua Leviton currently studies Aerospace Engineering student at the University of Maryland- College Park. In addition to working in a supersonic liquid injection lab, he enjoys doing engineering CAD work in and outside of class. He plans to move to Israel and contribute to the defense industry after graduation. Koreen Shoham is studying biomedical engineering at Boston University, and serves as MobileOCT's biomedical research intern. With previous work experience in mechanical testing of biocompatible materials, Koreen aspires to work in the field of medical devices in developing countries. Orit is an Industrial Designer with an unshakable belief in the power of design thinking to address global social issues and business challenges at the micro and macro level. Focused on experience design, Orit specializes in translating complex problems into simple seamless solutions in the physical world. Orit is a member of the founding team deploying the first Communal Tech Space (CTS) of the Reut Institute's Open-Source 3D Printing labs network across Israel. In final-year toward B.Des in Industrial Design at Shenkar College of Engineering and Design. Camila Dorin is an M.Sc. graduate in Electrical Engineering from Imperial College London, where her thesis was on Implantable Optical Biotelemetry. Camila serves as MobileOCT's Software & Electrical Engineering intern. Recently she spent a semester at the Technion taking classes in the Electrical Engineering department and doing research on endoscope optics. Camila is interested in the area of hardware design for medical devices. 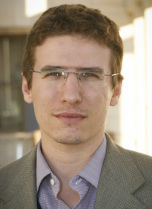 Daniel is a Brazilian Electrical and Computer Engineering Student at Federal University of Rio de Janeiro. Up to the current year, he has been researching at FURJ for a cheaper and better way to detect and diagnose the breast cancer on the early stages. 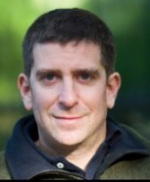 He is passionate for medicine and the technologic field, and hopes to help MobileOCT on those areas. Jon Ascherman is studying applied math at Harvard University, and serves as MobileOCT's business research intern. Jon is interested in market research and analyzing successful business strategies. 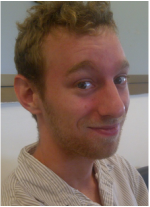 Avi Grayson was MobileOCT's first intern, helping out with key tasks even before MobileOCT's official founding. Over the course of his internship, Avi established relationships with several local vendors selling optics, electronics, and mechanical hardware. Avi also found MobileOCT a lab in the basement of an art studio in Florentin. Avi currently studies at Sara Lawrence College in Bronxville, NY.